“I never get tired of this view. 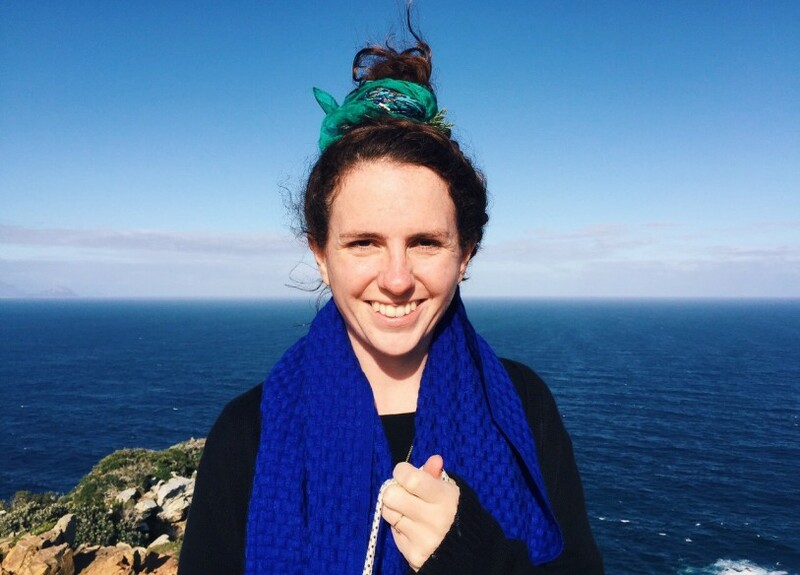 I must live in one of the most beautiful cities in the world.” The Capetonian woman beside me was returning home after a few months visiting family in Canada. And as I looked down at the crop of mountains giving way to the deep blue ocean beneath the plane, I agreed. Cape Town must be one of the most spectacularly located cities on Earth. There’s plenty of ways to enjoy the city’s natural landscape. 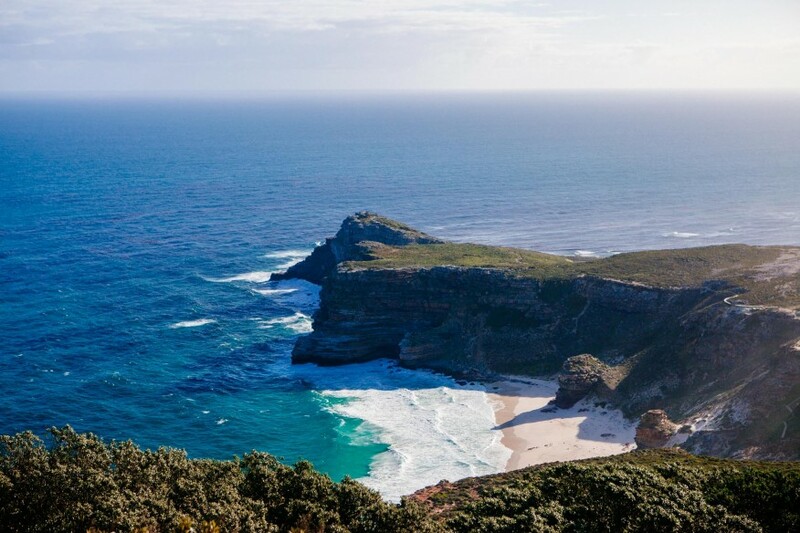 You can hike Table Mountain, hire a bike and cycle through the forests, take advantage of all the rock climbing, or retreat to the ocean for some surfing or time to relax. 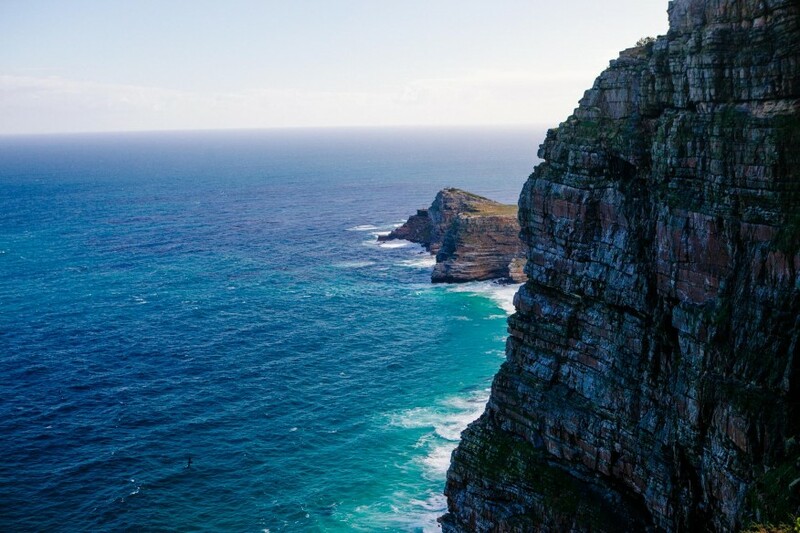 Cape Town is an outdoor enthusiast’s dream. It’s also worth getting out of the city and exploring the rest of the peninsula that Cape Town sits on. We did that by hiring a car and taking a road trip. This is the route we took and the stops we made along the way. We also have some notes on the safety of driving in Cape Town at the end of the post. 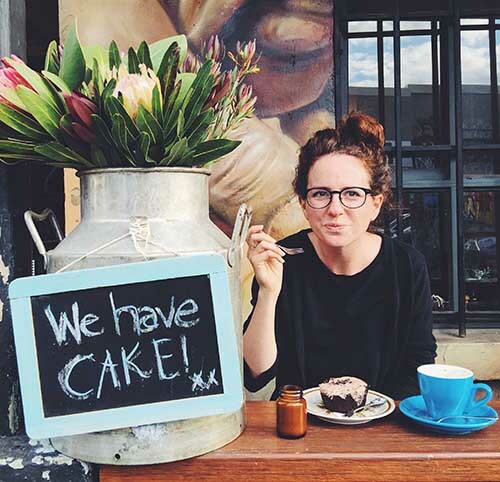 And here are some other Cape Town itineraries for ideas of other things to do in the city and surrounding area. 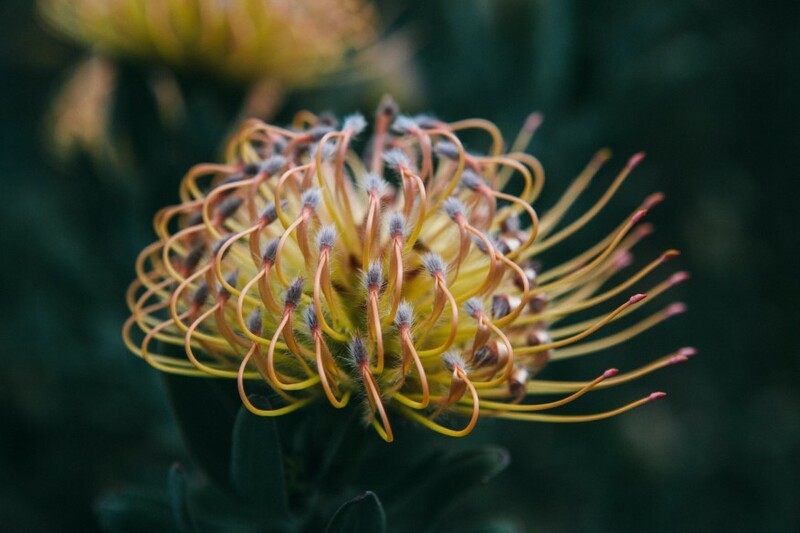 Kirstenbosch is home to Cape Town’s impressive botanical gardens, filled with plants of the Western Cape. 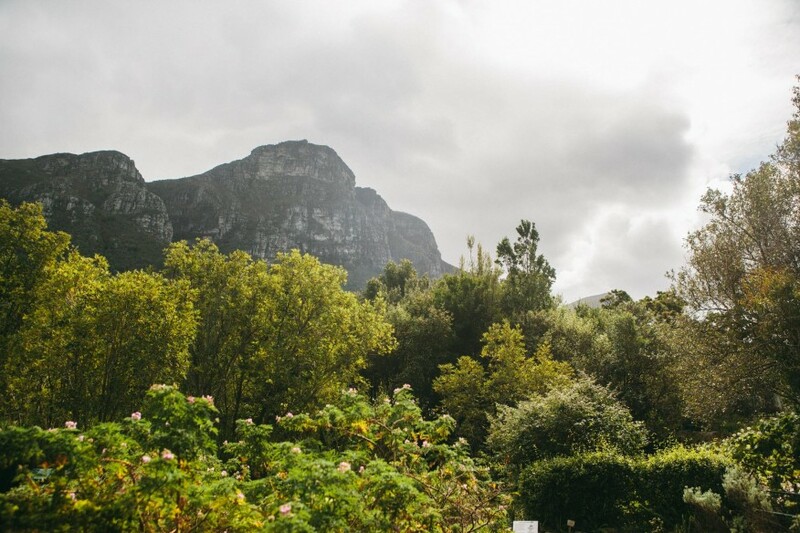 The gardens merge into the Table Mountain National Park, which makes for a particularly impressive backdrop. The expertly curated gardens include a canopy walkway, fragrance garden, vygies, proteas, and sculpture garden. You could spend a whole day exploring the gardens and walking the trails, but we just went for a couple of hours at the beginning of our road trip. It costs R55 for an adult ticket, which includes a guided tour. 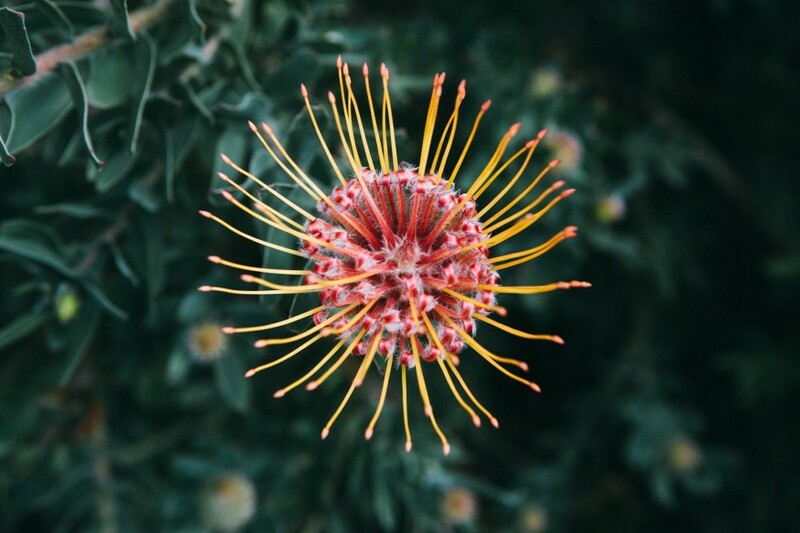 Check the Kirstenbosch Gardens website for special events. Muizenburg is a suburb of Cape Town known for its surfing. 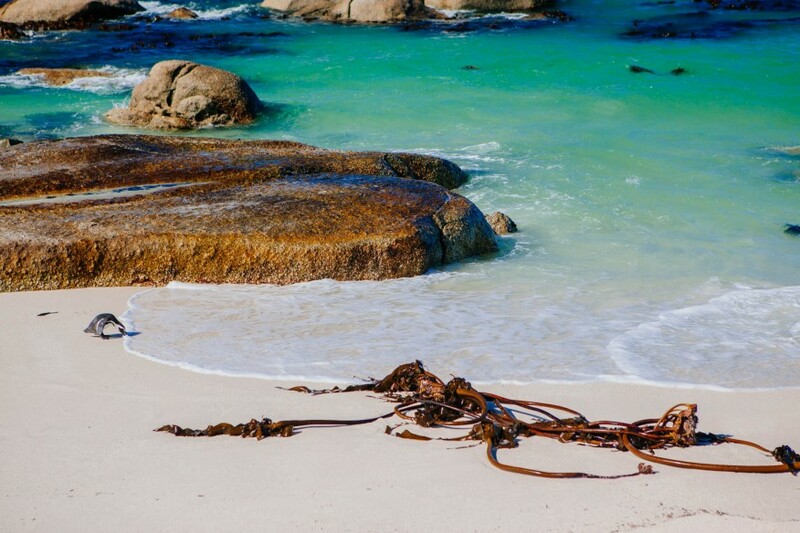 It’s also very popular for swimming as the waters of False Bay are much warmer than the beaches on the Atlantic side. There have been some high-profile shark attacks in the area, but there is a shark spotting programme that tells swimmers how safe it is that day. Regardless of that, I’m terrified of sharks and probably wouldn’t risk it. 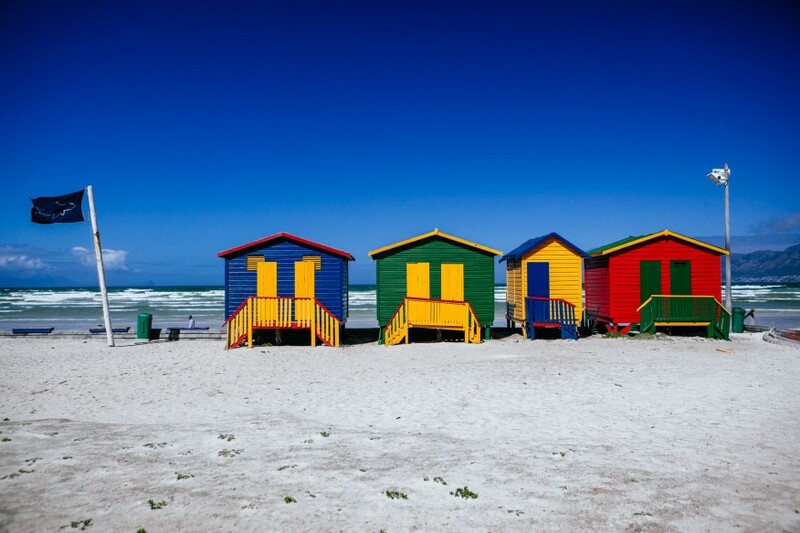 Muizenburg is also home to some colourful beach huts that have become iconic to the area. We only stopped in Muizenburg to take some photos. It was very quiet and and not half as beautiful as some of the other beaches on the peninsula (Clifton and Boulders), but I imagine it’d be more lively in the summer. 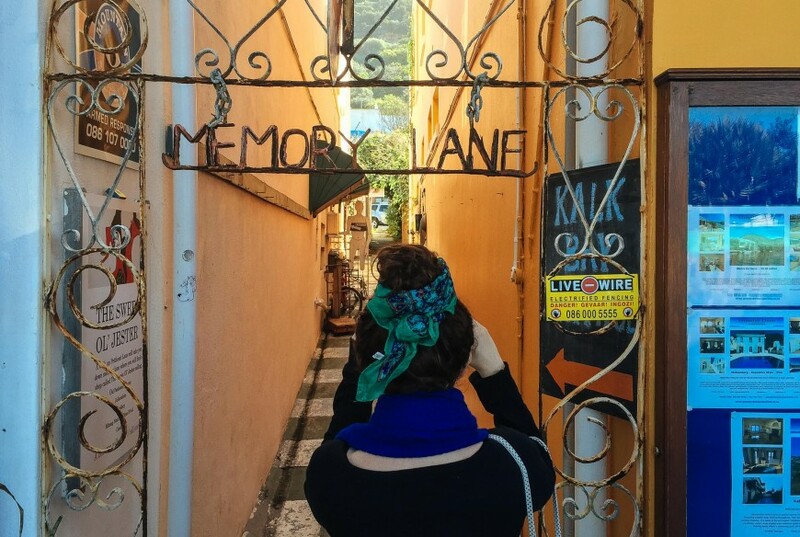 Kalk Bay is a little bohemian town filled with antique shops, coffee shops, bookstores and restaurants. We stopped there for lunch, eating at a little café called Bob’s Bagels. During the whale season, Kalk Bay is also a good place to see Southern Right Whales from the shoreline by walking up Boyes Avenue, but we were a little early for the season in September. Simon’s Town is another option for a lunch stop. It’s less bohemian than Kalk Bay, but still pretty. It’s also South Africa’s main naval base. 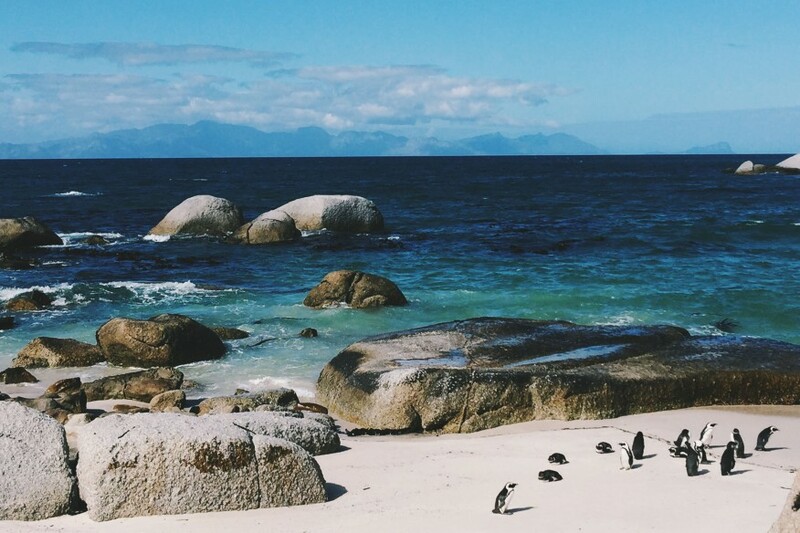 Boulders Beach is a must for any road trip around the peninsula. 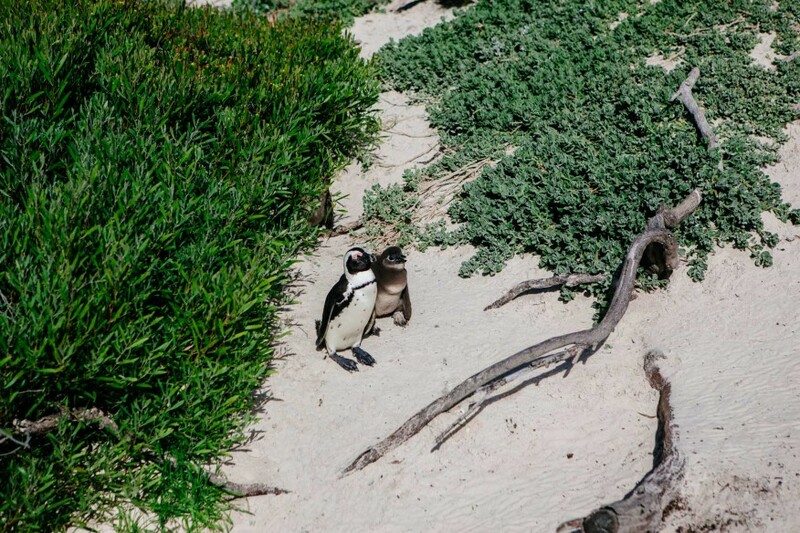 It’s one of South Africa’s most famous sights, home to a colony of over 2,000 charismatic African penguins. 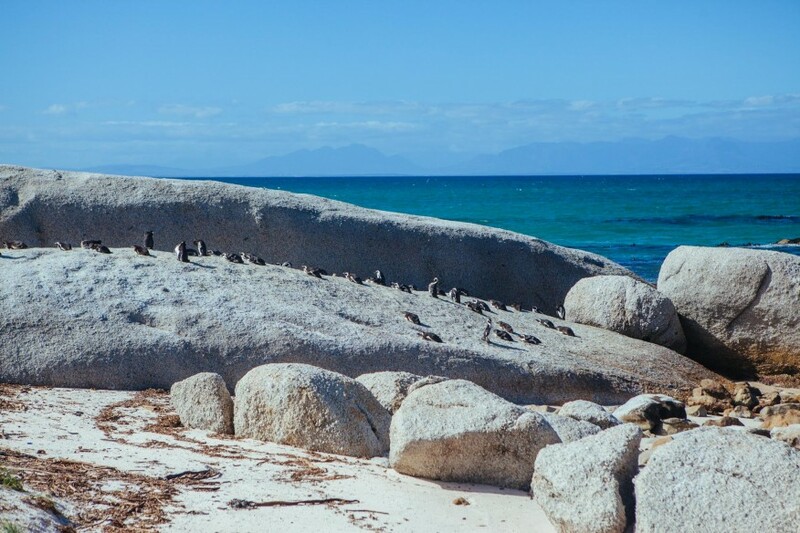 Boulders Bay is made up of a number of little inlets and the penguins are best viewed from Foxy’s beach, a gorgeous stretch of white sand beach that looks like it’s been taken from the tropics. 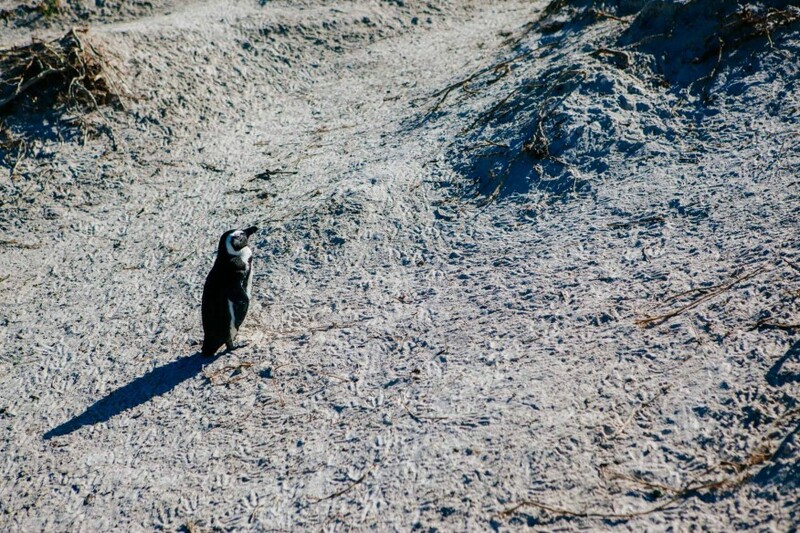 You can’t walk on Foxy Beach, but there is a fenced walkway that takes you within metres of the penguins. 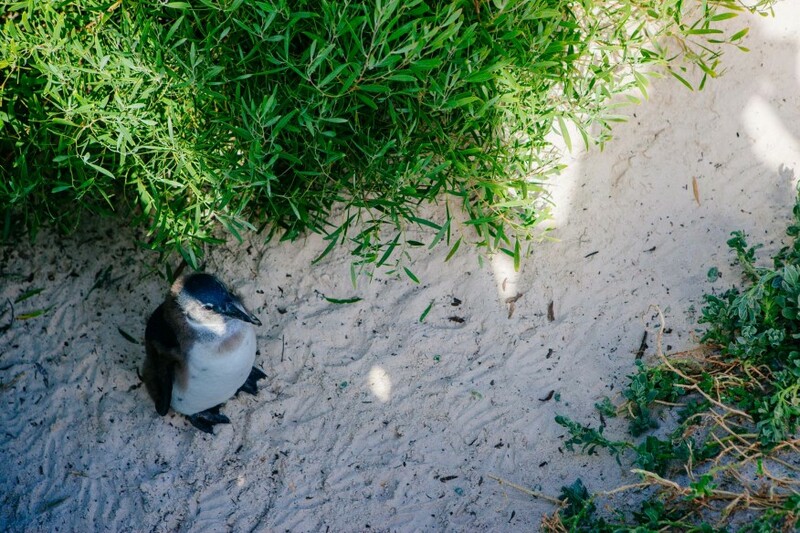 The walkway also snakes through the area next to the beach and the penguins often come right up to the fence there. But don’t be tempted to touch them – they do bite! They also don’t like selfie sticks so leave this behind too. It costs R60 to enter Boulders Bay, and swimming is allowed in the area, just not on Foxy Beach. 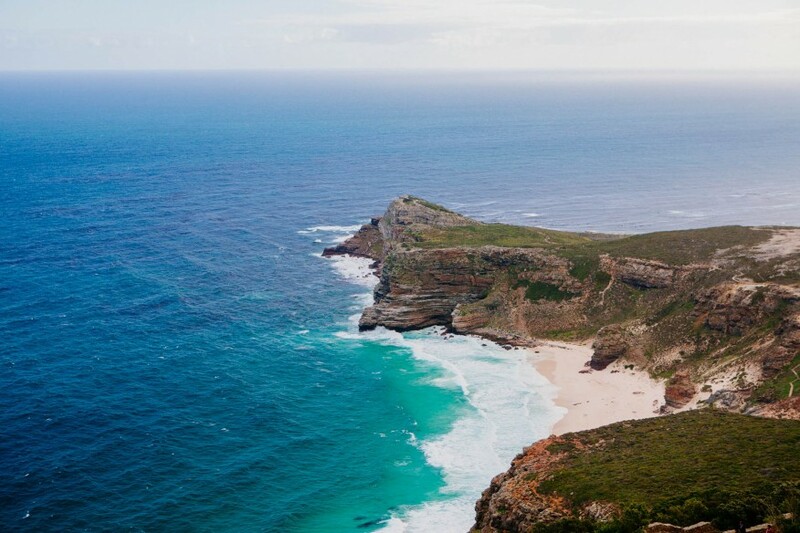 Cape Point is the most south-westerly point of Africa, a pointed finger stretching out between the Atlantic and Pacific oceans. The whole area surrounding it is a nature reserve, filled with beautiful bays, beaches, and wild flowers. 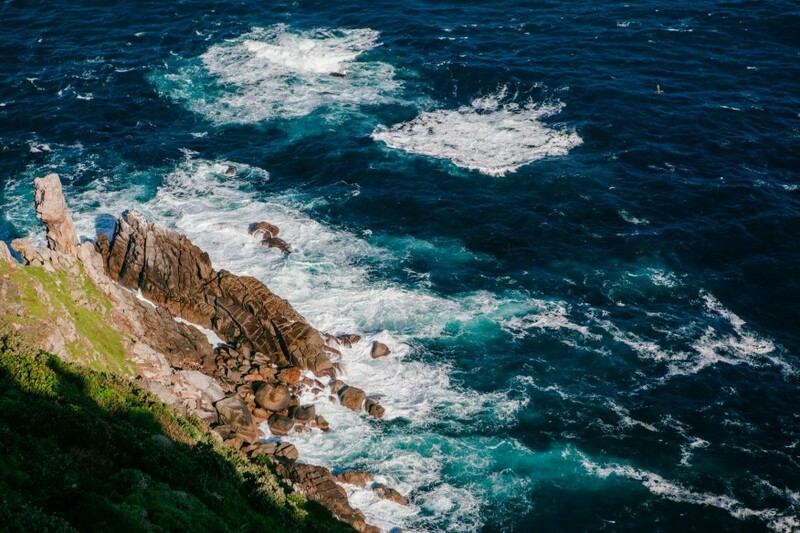 You could easily spend a day hiking the area and there are lots of walks to choose from, but one of the most popular is the Cape Point to Cape of Good Hope trail. 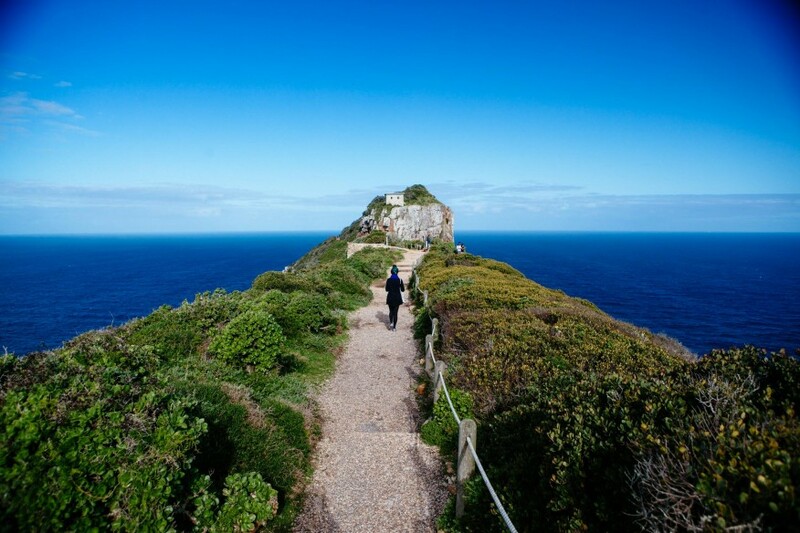 At Cape Point, there is a lighthouse, which you can walk up to or take the Flying Dutchman funicular. From the lighthouse, you can walk a further 15 minutes to the very tip of the point. 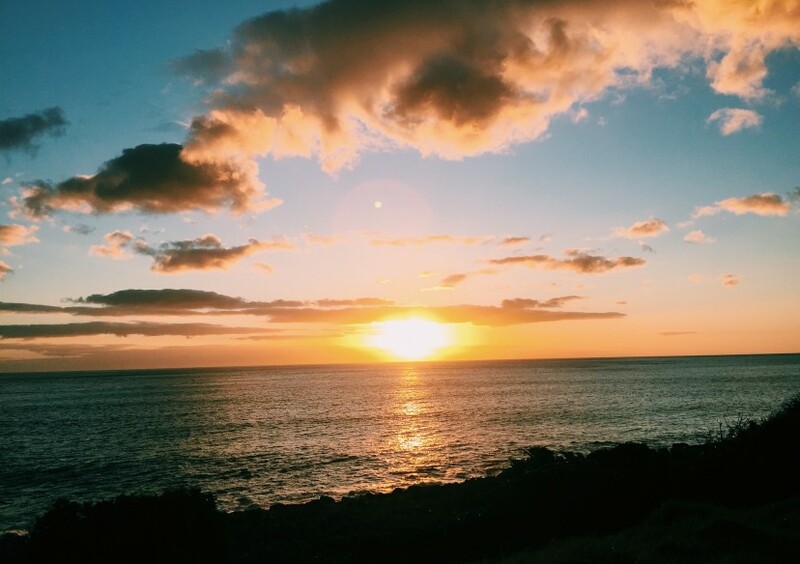 The views are stunning, but don’t be fooled by the common misconception that this is where the Atlantic meets the Pacific – this actually happens at Cape Agulhas, some 150km away. 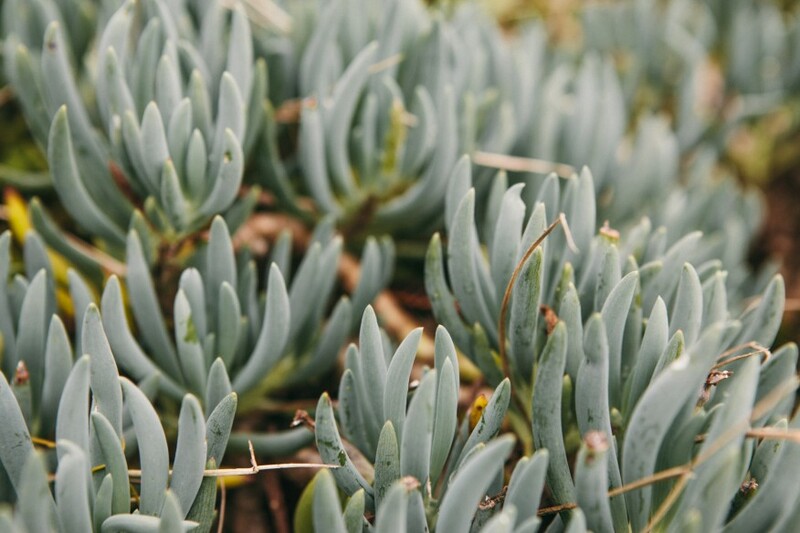 This area is also home to South Africa’s fynbos plant, a remarkable plant that constitutes its own floral kingdom (yes, that’s’ a real thing – there are six floral kingdoms in the world). 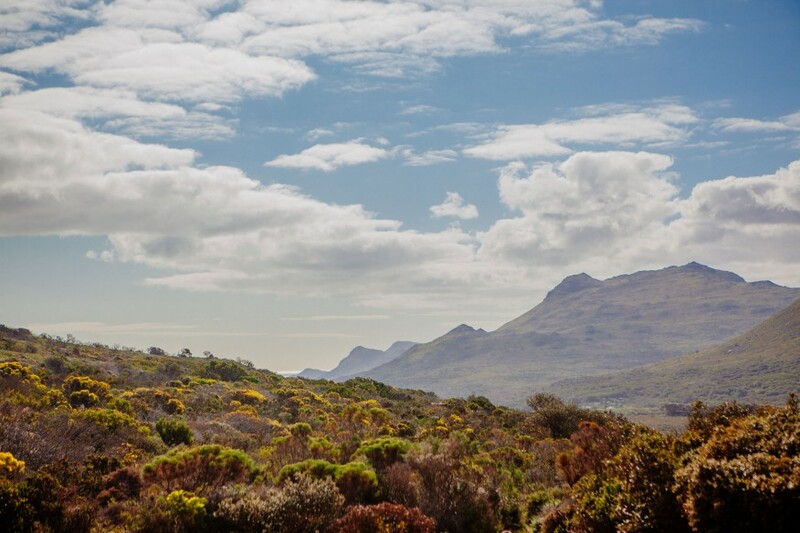 There are 9,000 species of fynbos and all are found in South Africa. My favourite was the Protea, which is also South Africa’s national flower. Lots of people also spot ostriches and baboons in the nature reserve, but we missed these. It costs R110 to enter the Cape Point nature reserve. Champman’s Peak Drive is an incredible stretch of coastal road, winding it’s way around the cliffs from Noordhoek to Hout Bay. It’s definitely one of the most beautiful roads we’ve ever been on and reminded us of California’s Pacific Highway. We were especially lucky as the sun was starting to set as we drove along it, which meant an ever-changing kaleidoscope of coloured skies. There is a toll charge of R40. Make sure you have the change for this! 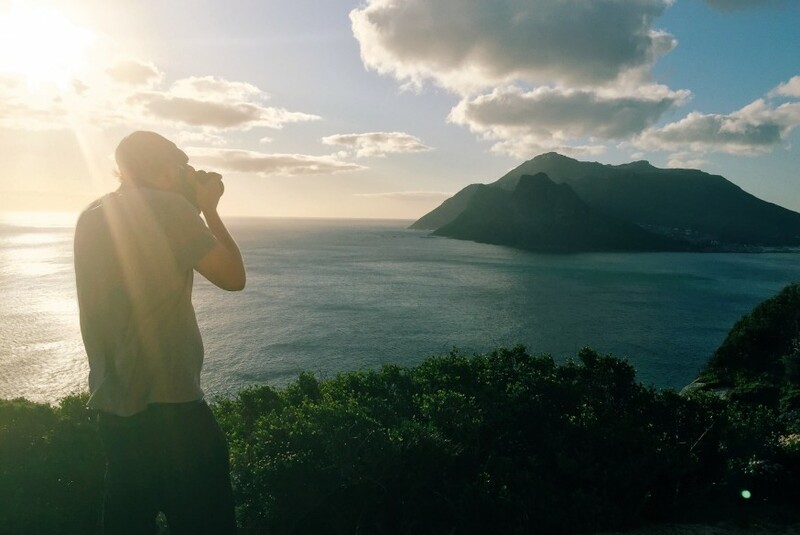 At the end of Chapman’s Peak Drive is Hout Bay, a pretty fishing town that’s a popular day trip spot for Capetonians. If the timing’s right, it’s a good stop for a sundowner at the end of your road trip, but we drove on to Camps Bay instead. 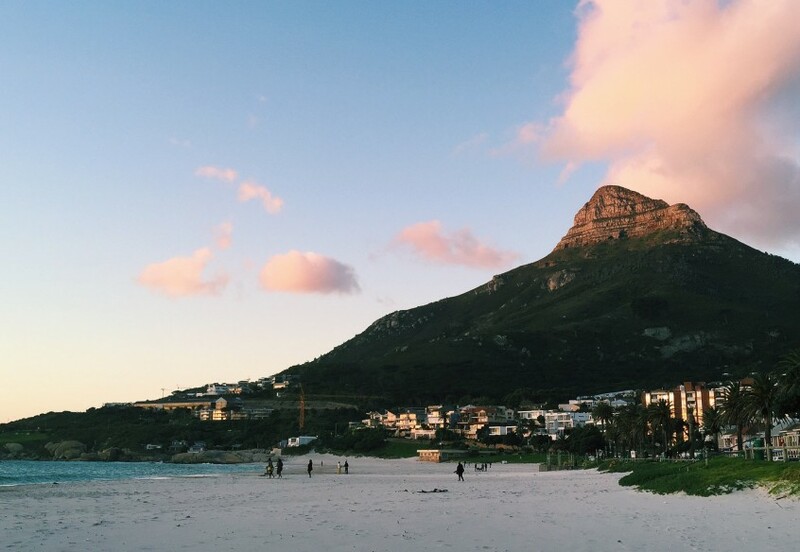 We tried to time our trip so that we’d end with a sundowner at Camps Bay. Getting stuck behind a very slow car, coupled with a kerfuffle with change for the toll charge, meant we got there just in the nick of time to see the sunset, but without time for a sundowner. And we didn’t stick around as we were conscious we didn’t want to be driving into the night. However, if your timing works out better than ours, sitting at one of the raised beach bars would be a great place to end the road trip. It’s a trendy spot filled with restaurants, bars and the kind of people who like to see and be seen. And it’s only ten minutes away from the centre of Cape Town where we were staying on Kloof Street. How safe is it to drive around Cape Town? When someone first suggested hiring a car in Cape Town, we weren’t keen on the idea. We’d heard so many stories about car hijackings that driving ourselves around seemed like a mad idea. However, as with many things, the horror stories tend to be worst-case scenarios and are far from the norm. 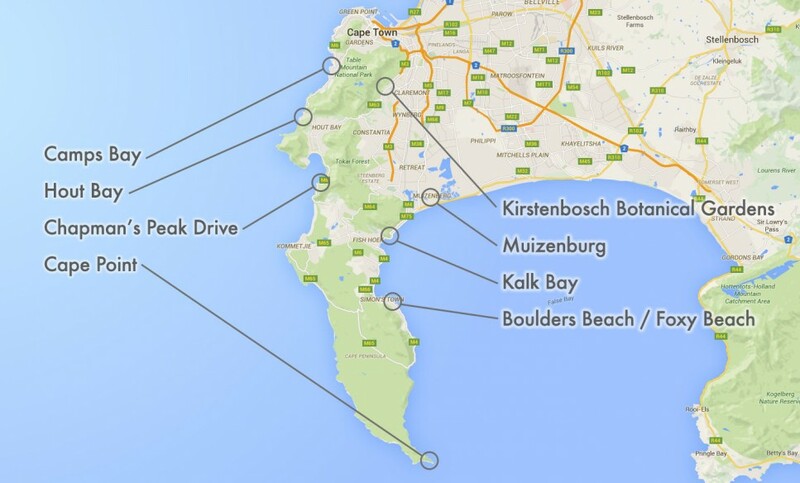 We did a lot of research and found that driving in Cape Town and around the Cape Peninsula is widely considered safe. There are just a few precautions to take. Firstly, it’s best not to drive at night. And secondly, keep your doors locked, especially when stopping at junctions and traffic lights. Plan your route before you drive so that you don’t get caught out in the dark. And check the route with your hotel so they can make sure you’re not going through any known danger areas. If unsure, stick to the main roads. 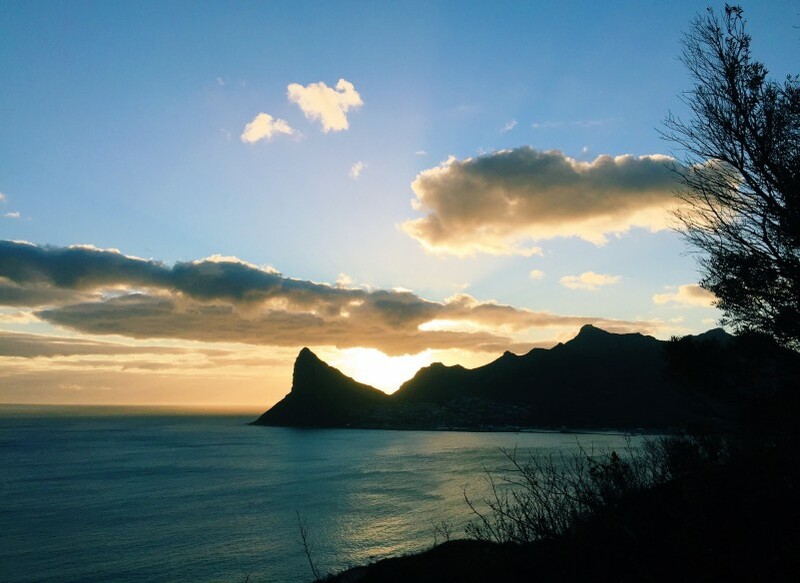 Drive the route in a clockwise direction – that way you can end with sunset over Hout or Camps Bay. Make sure you have enough change for the toll road. 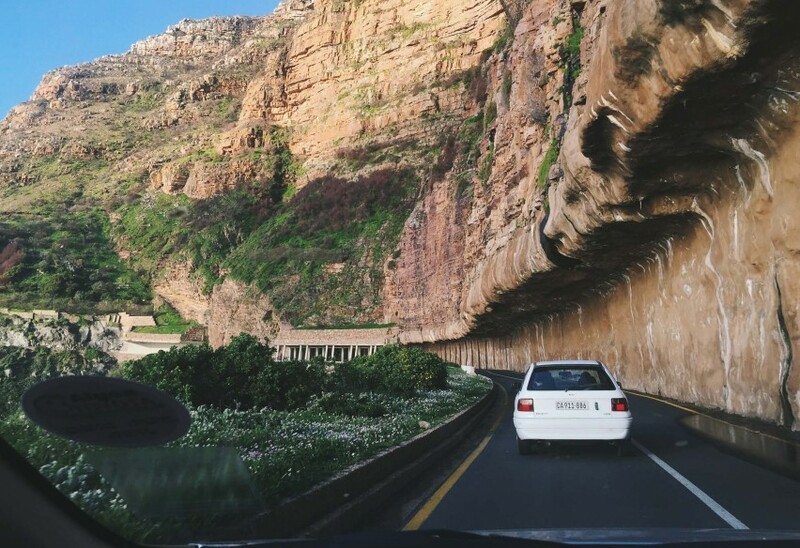 If you drive in the same direction as us, you end up paying for the Chapman’s Peak Drive after you’ve driven along it. We didn’t have enough change and had to leave our camera with the attendant as insurance while we drove to the nearest town to get some cash. Make sure you leave plenty of time for the whole drive. Our whole trip, including stops, took about nine hours. It’s a good idea to overestimate how long the Champman’s Peak Drive will take as it’s a single lane and windy so it’s possible you’ll get stuck behind someone going slow (this happened to us). This is especially important if night is approaching as it’s safer not to drive in the dark. 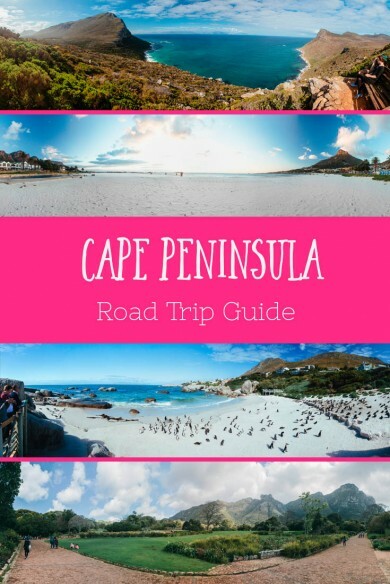 If you want longer at any of the stops along the way, you could skip Kirstenbosch and Camps Bay or Hout Bay as these are easy day trips from Cape Town. 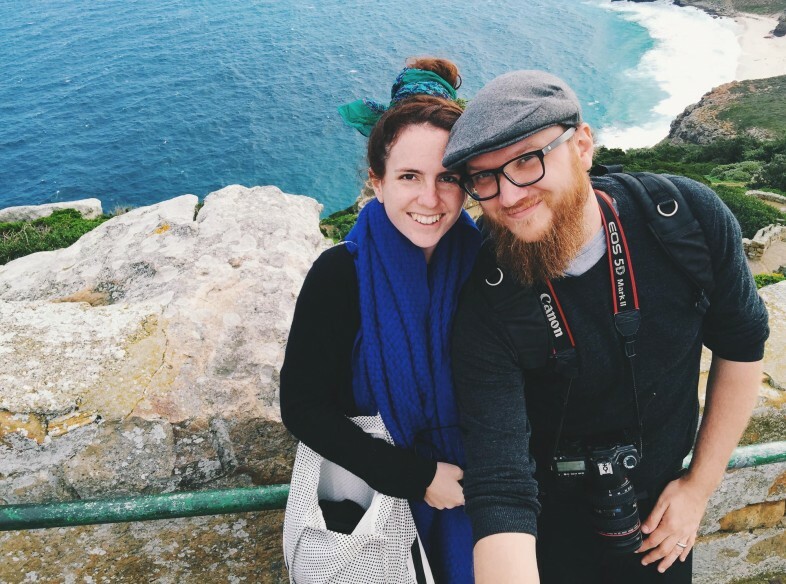 Be sure to read our ultimate honeymoon guide for South Africa, and if you’re planning a trip soon, check out all our travel resources pages for lots of tips and advice. Awesome, thank you so much for sharing! We’re heading to South Africa this fall (September/October) and are really looking forward to this drive. The photos and tips are great!